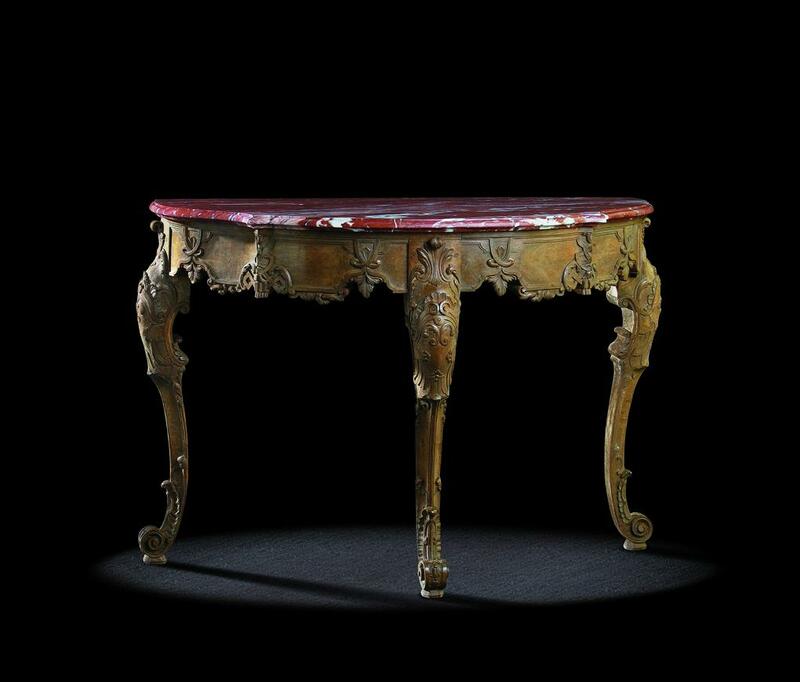 This elegant table, in an accomplished Regency style, known as « cabaret » because of its top with raised edges, is pleasing to the eye with graceful curves and a certain strength. The carving shows acanthus leaves, violets and leaf scrolls that echo each other in curves and counter-curves. Some of the motifs are reminiscent of the designs of certain period panelling from the Château of Versailles. Note the pure line of the legs finished off with ‘doe hoof’ cloven feet.